Wow! A true 10! 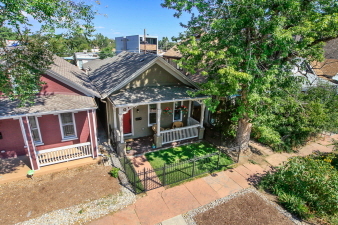 Amazing location in the heart of RiNo (River North Arts District). Close to everything - enjoy all the Denver lifestyle has to offer. This house is perfect and is completely turn key. All updates have been made and are only a couple years old. Granite counters, wood floors, new kitchen and baths. Vaulted ceiling in master. Quaint rolling farm doors, wine cooler, lots of built in storage. Nice yard and oversized two car garage with alley access. Hurry this one won't last!